Acrylic Nails: Are They Bad for Your Natural Nails? Welcome! > Style > Acrylic Nails: Are They Bad for Your Natural Nails? After spending all of those hours on your feet, penciling in a much-needed manicure is the perfect way to unwind. Acrylic nails have been on trend for as long as I remember. It wasn’t officially prom season until you sat in the salon chair, waiting for your french manicure or rhinestone-encrusted polish to dry. Whether you were into the pointed look or cut them down to look more natural, acrylic nails provided a fun, upbeat vibe to your outfit. Now that you’re older, things haven’t really changed. But if you’re thinking of hitting up the nail salon for a quick touch up, you may want to hold that thought. Although these faux nails are often considered a quick, easy way to strengthen your natural nails, there may end up doing more harm than good. Before you book your next nail appointment, here are a few harmful side effects that you should be aware of. They increase your chances of infection. When the acrylic formula is applied to your nails, it essentially forms a layer over them. This makes it possible for bacteria to grow in between the layer of your natural nails and the acrylic nails. There’s an even higher chance of getting an infection if your nails were not cleaned properly prior to installing the acrylics. They’re very stiff, which makes it easier for them to break off. Nothing screams agony like your nails being separated from their nail bed. We’ve all been there. You’re running for the train and put your hand out between the doors, accidentally snapping your nails in two. Or you try to pick something up, only to misjudge the distance from your nails to the floor. They contain harsh chemicals that are harmful for your natural nails. Sometimes, the chemicals found in acrylic nails can irritate your nail bed and cause it to swell. It’s even worse if you are allergic to any of the chemicals in the acrylic formula, such as resin or formaldehyde. There’s an even greater chance of this happening if your manicure was done at a sketchy nail salon. They can cause your nails to become more sensitive. That hard-to-reach area under your nails is a breeding spot for bacteria. Acrylic nails make it harder to clean, which can leave the skin surrounding that area feeling sensitive and sore. If you notice that your cuticles are red or super itchy, visit your doctor right away. They may actually weaken your nails (that’s right)! Many people use acrylic nails as a way to make their natural nails stronger and healthier. 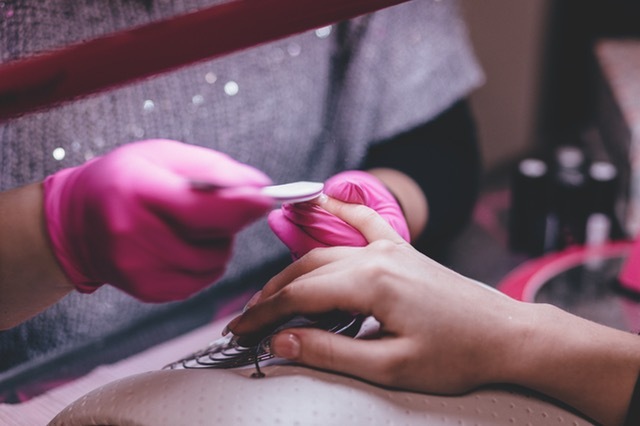 However, it’s possible that multiple trips to the salon will actually weaken your nails and cause splitting or thinning. Acrylics work best on nails that are a little thicker. If you’re not ready to give up your acrylic nails just yet, try to spread out your appointments and get your nails done in moderation. Giving your natural nails some room to breathe may actually benefit their growth in the long run! Septum piercing: Should you do it?